PayPal is one of the largest online payment systems. It uses encryption software allowing maximum security when making payments, transfers or withdrawals to and from your online bingo account. Its growing popularity over the past few years has made it into one of the world’s most used methods of online payment with more than 100 million accounts worldwide. And best of all, a PayPal account is absolutely free! You won’t be charged any interest and minimal to no fees when using it on any of the bingo sites. You will never have to worry about your personal details falling into the wrong hands when using PayPal as your debit card, credit card or bank details will be stored safely and never shared with anyone. If you use eBay you will already be accustomed to seeing PayPal as one of the payment options when bidding for or buying items. Now you can also use it when playing in your favourite online bingo site. 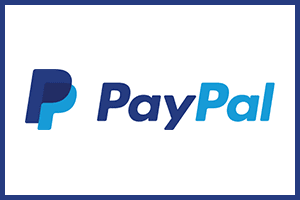 Once you register your PayPal account you can start using it as soon as your bank account has been verified by the professional security staff at PayPal. Thanks to the fact that when you pay using PayPal all you write is a username and protected password, you won’t need to write any compromising information online like name, address, credit card number, CVV number, etc. This reduces the chances of suffering identity theft and fraud as you become effectively anonymous when you play bingo online with PayPal. There are many bingo sites that offer fantastic incentives for choosing PayPal as your payment method. These sites can offer a first deposit welcome bonus of up to 300%, maximising your chances of winning quite substantially by allowing you to buy more bingo cards. Plus, withdrawal time when you decide to cash out any winnings from your bingo account is less than with other payment methods. It usually takes less than four hours for the money to get from your PayPal account to your bank account. The support staff at PayPal are very helpful if you ever need them. The help section in their website is thorough and informative, yet if you ever need to contact one of their agents you can do so via the virtual agent tool, by calling their call centre or by sending them an email. Choose PayPal as your method of payment in your online bingo account right now and choose a quick, easy and safe way to manage your funds.